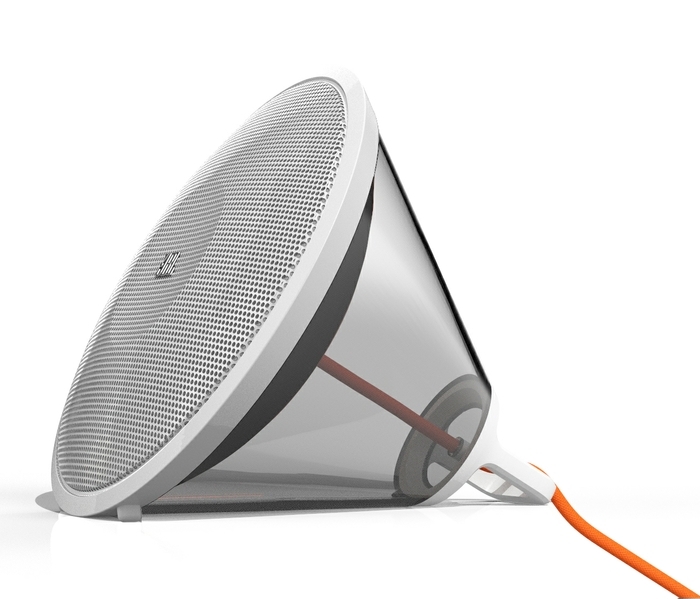 Berlin, Germany – HARMAN International Industries, Incorporated, announces the union of functionality and fun in JBL Spark, a unique wireless stereo speaker system. JBL demonstrates that professionalism in audio reproduction can be fun with JBL Spark wireless stereo speakers. The unique megaphone-like shape is functional and playful: excellence in speaker enclosure design stripped down to its essentials. JBL Spark puts the megaphone shape to good use, with two high-performance JBL drivers and a tuned bass port. The result is crisp, clean, high-end, sound with a warm, rich bass response in a versatile shape that you can take anywhere. Available in five colours, the JBL Spark adds a splash of sound and colour to any room, whether you hang it on a wall, set it on a table, stash it on a shelf, or lay it handy on a couch or cushion. Wireless Bluetooth streaming gets the sound from the player to the speaker, and JBL Spark fills the room with true, rich sound. 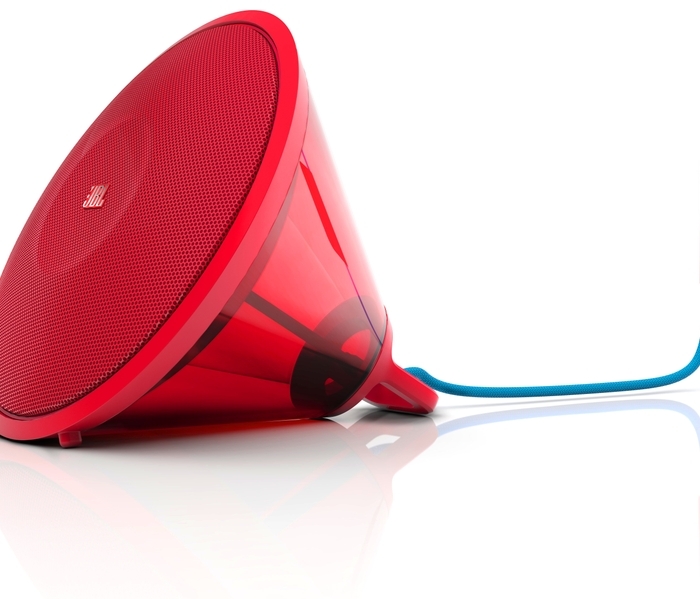 JBL Spark: available from September 2013 for an approximate retail price of €129.